Solar powered street lights are a very good example on what can be done with solar energy. A growing number of solar street lighting projects are running in Africa, Asia and the Middle East. Some European and US cities are currently running pilot projects. The concept is straightforward and we shall see more countries migrating this way. 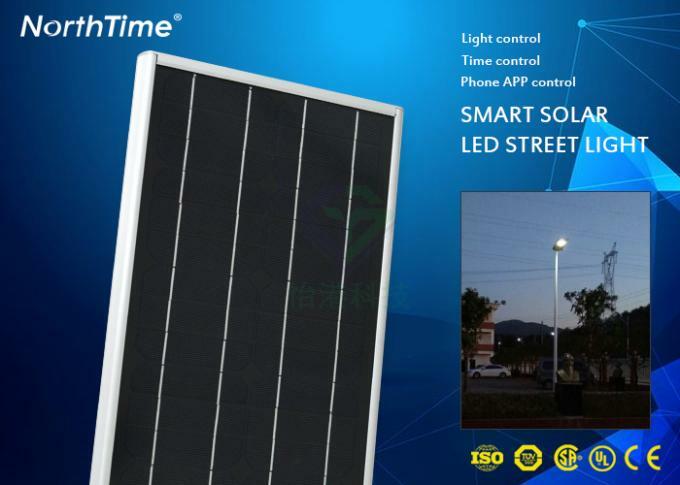 Well chosen, solar street lights are cost-effective, cost-saving and reliable. What is integrated all in one solar led street lamp? 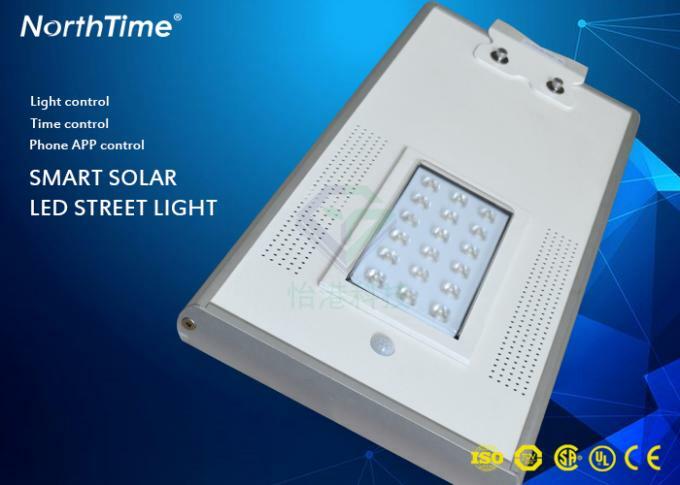 Solar panel, battery, light source, controller and other parts are all-in-one housing. 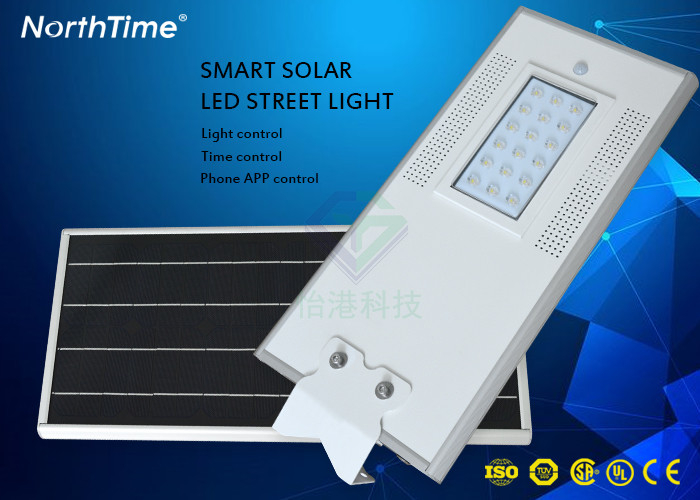 It is much smaller than traditional solar led street lamp. 1. Easy to install, no digging required to lay cables. Two workers can finish installation in a few minutes. It saves labour. 2. Small volume, it saves transportation charge. 3. Full powered by solar energy, no electric charge. 4. Working voltage is DC12V, it is safe for people. 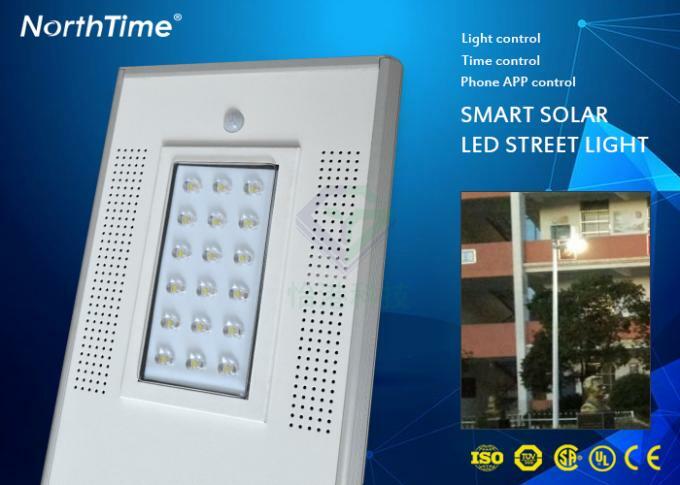 Control Mode Optically Controlled When there is sunlight, the LED Light turns off; when being dull, bright light automatically on. PIR Controlled When People come nearby light is on 100%, when people walk away the light is on 50%. High quality: Apply eddiciency Moncrystalline silicon from Germany Solarworld. Dust and Snow Proof: The use of a smooth die-cast aluminum housing successfully prevents dust and snow from aaculating housing, resulting in better heat dissipation and long life. Easy dis assembly and assembly: You can easily open and cover the house by hand without any extra tools. Once there is a problem with the driver, it is very convenient to replace a new one. we are factory. Please feel free to visit the factory. Our factory is located at shenzhen City, China. Q3. Do you offer a newly designed LED desk lamp OEM service? A: Yes, we have more than 10 years of experience, and we often work with some famous foreign companies. Q4. How to deal with the order of led lights? Q5. Can my logo be printed on led light products? Q6. Do you guarantee the product? 1. Main roads, residential streets, pedestrian streets, highways. 2. Parking lot, dock and dock. 3. Areas with high crime rates are everywhere. 4. Advertising fixtures such as industrial plants.